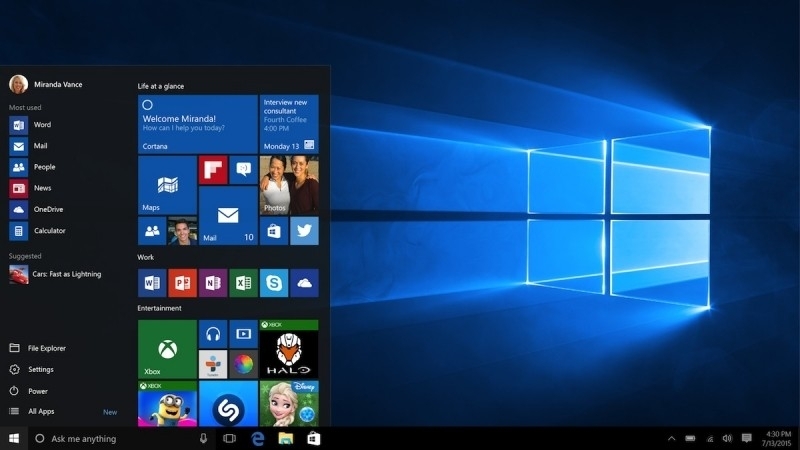 The first major update to Windows 10 is upon us. Microsoft on Thursday began deploying what’s largely considered an enterprise-focused update for the more than 110 million devices already running its new operating system. There are, however, some additional changes that everyone can take part in. As Terry Myerson explains on the Windows Experience Blog, overall performance was a key focus of the update. For example, boot time is now nearly 30 percent faster compared to the same device running Windows 7. Cortana is also a bit more useful and is available in several new markets including Australia, India and Japan. Microsoft Edge, the company’s replacement browser for Internet Explorer, is said to be a bit faster and more secure. A new feature, tab preview, allows users to hover over an open tab to get a preview of what’s on that website without leaving the active window. Edge can now also sync your Reading list and Favorites across devices. Microsoft is also rolling out its new Xbox One Experience update, described as a complete transformation of the console’s operating system powered by Windows 10. As covered earlier this week, the update delivers backward compatibility with more than 100 Xbox 360 titles. Other changes include a redesigned Home screen, a new guide that allows for one-button access to top tasks, a new community section designed to make gaming on the Xbox One more social, a revamped OneGuide for media and a new Store where you can purchase games, movies, television shows, apps and music.